My first @Maddis. A Big Bore Bent Pot (BBBP)! A pair of MM CG’s...one straight, one bent. Hope those Danes ship fast! I was smart and managed to (tactically) land my first engineering internship last week, so she's been especially happy with me lately. A Gent Pipe pouch from @Sorringowl. Hope they aren’t too habit forming as I still want a standard as well. Morgan Bones Pit Bill came in today. Time to smoke it and get some color on this bad boy. THAT is such a cool pipe!! Let us know how it smokes. God bless B&Ms, a friend and fellow pipe club member found a great spot with no internet presence and a great tin selection. It was a bit of a drive for me but worth it. My new (to me) Kirsten arrived today. Can't wait to give er a whirl. I just received a Walker Briar Works stem cleaning kit, and a Forever Stem Regal style in green swirl. From our own Sorringowl I picked up this Russet Glove leather set. He described it as soft as bud'dah. And it is. I have an older one of his with some use on it but it's no where as soft as this one. I have it packed with one pipe, a Kiribi lighter, tobacco pouch, tobacco leather mat, tamper and a few pipe cleaners. This one is going in my truck rotation. For the smokes home. Two piles fit if need be. Great product. Hit @Sorringowl up if you want one. Just ordered this Radice off of Al Pascia in Italy. Now the waiting begins. Got off work early today so I took a walk over to Iwan Ries. Pissed away some money and came home with these. Three out of the five I haven't tried yet. Got my @N_monier_pipes today. 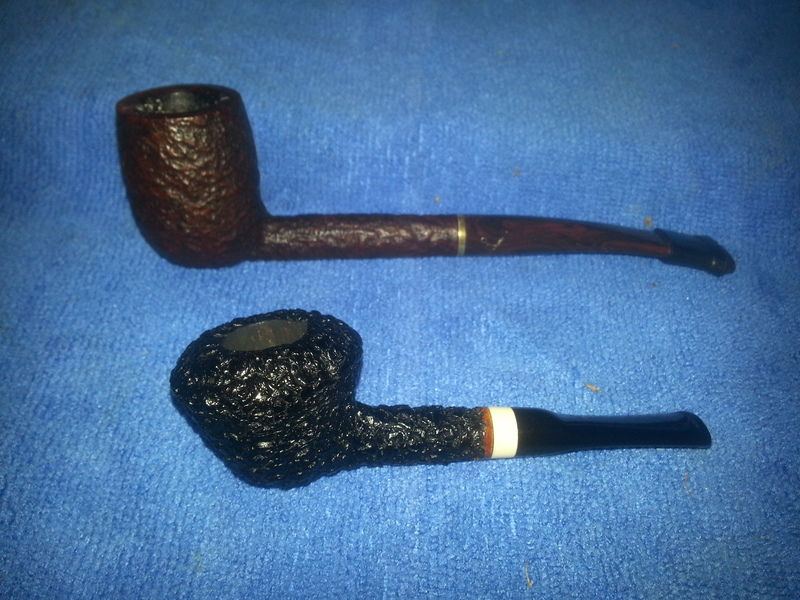 Pictured next to a Savinelli Bing for scale. Should be a fun little plug and rope smoker. That Dr Bradley is good stuff! Ya it's a nice change of pace from my usual routine. Probably that and Sextant are the only things I smoke with Latakia in them. Was reminded today that staring out the front window does not make mail trucks arrive any quicker. The vigil continues tomorrow.